usability.de Management. Gesine Quint and Torsten Bartel. We are passionate about designing interaction that is intuitive to use, efficient, as well as attractive. Our interdisciplinary team has many years of real-world experience and expertise in the disciplines of user-centered design, interaction design, information technology, intercultural communication, international information management, business psychology, and general psychology. Gesine Quint has been working in the area of usability research and consulting since the beginning of 2000. Initially, she focused on human-machine interaction in her International Information Management (M.A.) studies at the University of Hildesheim in Germany and the University of Granada in Spain. 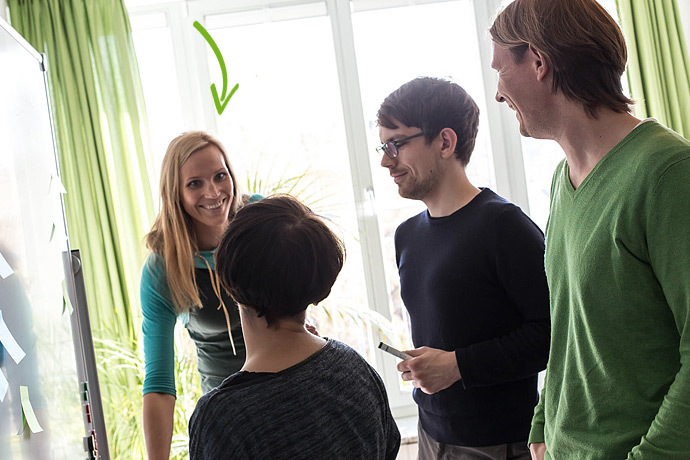 Then, she worked as a research associate of the University of Hildesheim within the scope of a multi-year cooperation project with Bosch Blaupunkt GmbH concerning user-centered interface design and development of interactive systems as well as in usability research and teaching. In 2004, she joined with Torsten Bartel to found a special agency for usability & user experience and has dedicated herself since then to the further development of qualitative usability methods, the strategic and methodical UX consulting, and the field of UX design. She gives lectures and seminars, is co-author and publisher of diverse studies on relevant UX topics, is founder of the Usability Professionals Association regional group in Hannover, and has been co-organizer of the World Usability Day In Hannover since 2007. As a member of the nominating commission, she lent her usability expertise in support of the Grimme Online Award in 2012 and 2013. Torsten Bartel studied International Information Management (M.A.) at the University of Hildesheim in Germany and Dublin City University in Ireland, once he had completed his apprenticeship as an industrial business management assistant. In 2002, he won the Gerhard-Lustig prize of the InformationsWissenschaft e.V. (University Association of Information Science). He also authored the book "Die Verbesserung der Usability von Web Sites" (Improvement of Usability of Web Sites). Besides his work at usability.de, he conducts courses on web usability and mobile usability and gives lectures on usability and user experience (CeBIT Webciety, Conversion Conference, Internet World Business, Mensch & Computer, Usability Professionals, Webinale, WebTech, World Usability Day). Torsten Bartel was a co-founder of the Usability Professionals Association regional group in Hannover, and has been a co-organizer of the annual World Usability Day in Hannover since 2007. Even though he has been helping to improve the user-friendliness of all types of different products for over 10 years, he still finds something everyday that doesn't function as well as it should.